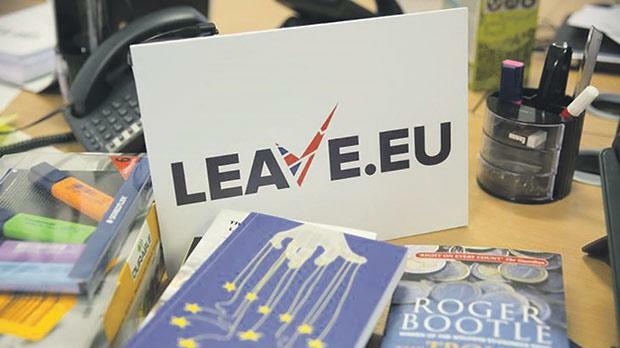 A sign for pro Brexit group pressure group Leave.eu is seen in their office in London. Regardless of how it may affect their lives, EU citizens living in the UK will have no say in whether the country decides to leave the EU in the historic ‘Brexit’ referendum in June – except, that is, for the Maltese. Along with Cyprus, Maltese citizens currently living in the UK will be eligible to vote in the upcoming referendum, taking advantage of a contentious historical quirk which allows Commonwealth citizens to vote in all UK ballots. With nearly a million Commonwealth citizens in the country, the combined vote could have a significant effect, and attempts to sway it one way or the other have already begun. Former Prime Minister Karmenu Mifsud Bonnici last week appealed to Maltese people in the UK to vote to leave, assuring them a Brexit would not cause any problems for them or for Malta as a country. Of those who spoke to The Sunday Times of Malta, however, many showed a lot more uncertainty about what the referendum result may mean for them and their fellow Maltese expats. According to reports, the threat of a Brexit has had some UK citizens scrambling to obtain citizenship in other EU countries; but some Maltese people are doing the opposite, shoring up their British credentials to guard against any eventualities. Celine Grech, who has lived in the UK for 12 years, is one of them, having applied for and obtained British citizenship last year as the shadow of the referendum loomed. Not all Maltese voters are as keen to remain in the EU along with their home country. Many, particularly dual-citizens and those who have lived in the UK a long time, told this newspaper they would be voting ‘out’, largely citing the same concerns as other, British-born, ‘out’ voters. Despite many being immigrants themselves, the strain of migration on British society and social services was a consistent concern, along with anger at being led from Brussels and losing national sovereignty in their adopted country. Others, however, said the biggest problem they faced was a lack of concrete information – amidst the broad statements and scaremongering – to help inform their vote. Maltese people over the age of 18 (16 in Scotland) living in the UK can register to vote any time before the deadline on June 7. Voters in England, Scotland and Wales can register online: gov.uk/register-to-vote or sending a form by post to their local electoral registration office. Paper forms can be found online or from the local electoral registration office.